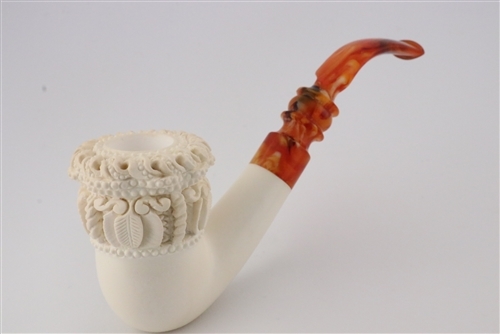 Deluxe Hand Carved Topkapi Meerschaum Pipe - Inspired by the architecture of the Topkapi Palace in Istanbul, Turkey this pipe design is considered a classic among Turkish carvers. 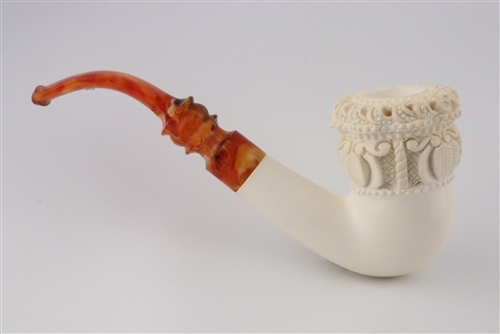 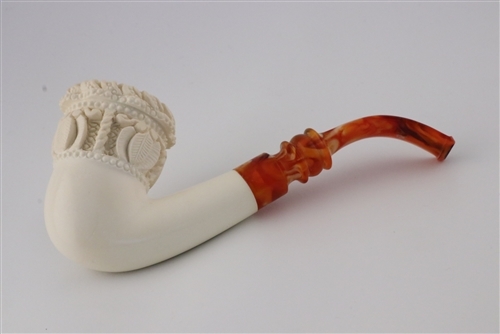 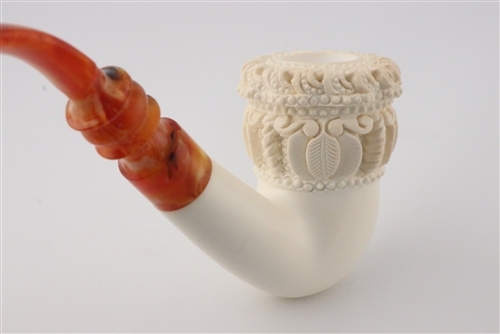 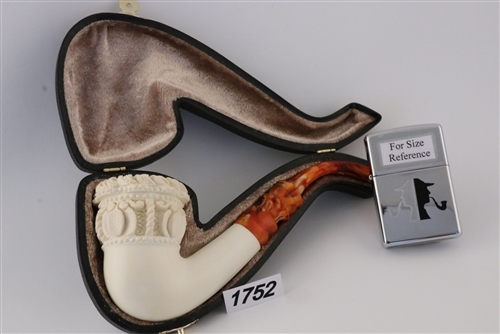 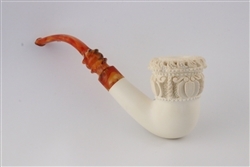 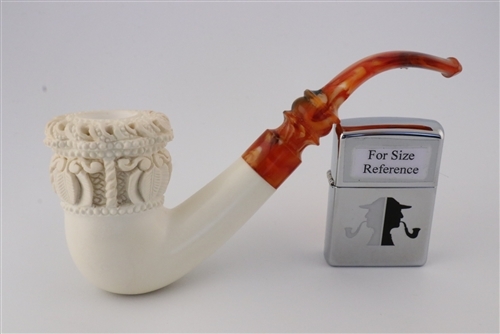 This Meerschaum pipe is hand carved from high grade 100% Solid Block Meerschaum. 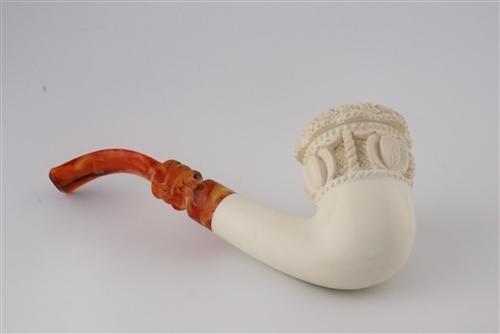 Every meerschaum tobacco pipe is hand carved so no two pipes are exactly alike. 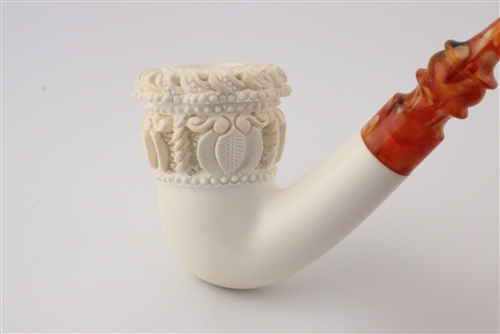 Each hand carved block meerschaum pipe comes in a custom made velvet lined fitted case which is unique to that pipe. 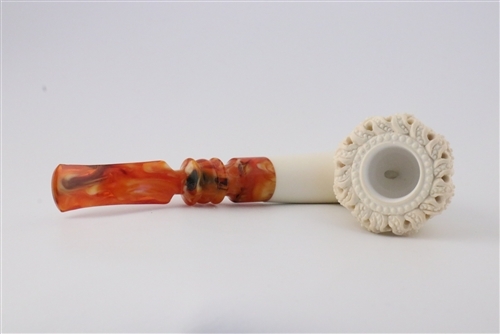 Length: 14.5 cm = 5.70"
Height: 6.5 cm = 2.55"
Width: 4.4 cm = 1.75"
Bowl Depth: 52 mm = 2.05"